I have lived in Charlottesville since 2001, and in that time have worked as a designer, artist, educator and product development specialist for Monticello. I earned a MFA and MA at Syracuse University and a BFA from the School of the Art Institute of Chicago. 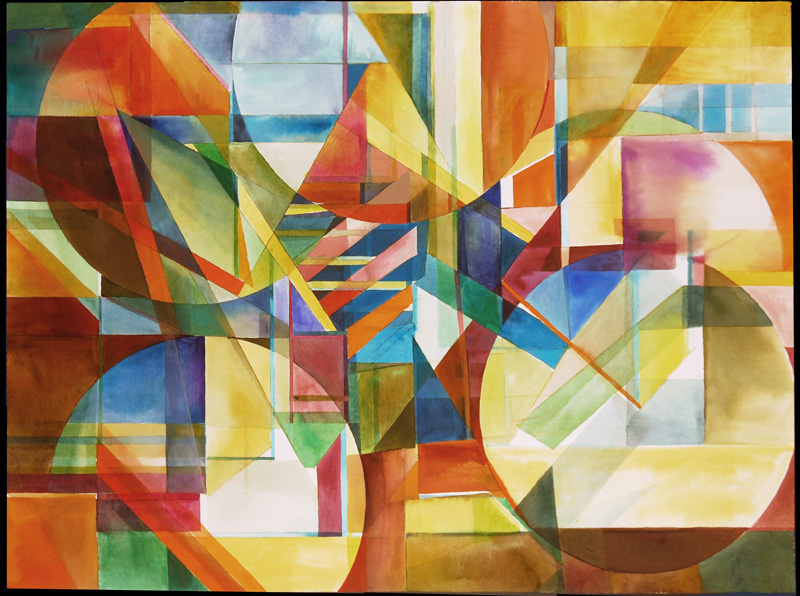 My art is primarily in watercolor, and focuses on abstract geometrics as the main form of expression. I begin these paintings by drawing a remembered interior of a house in which I have lived, abstracting and flattening the space using a Cubist sensibility to reduce detail to simple geometries. My sense is that when one lives in a space, one imbues it with energy patterns, which if visible might be seen as a vortex, a magnetic field or as a shimmering orb. 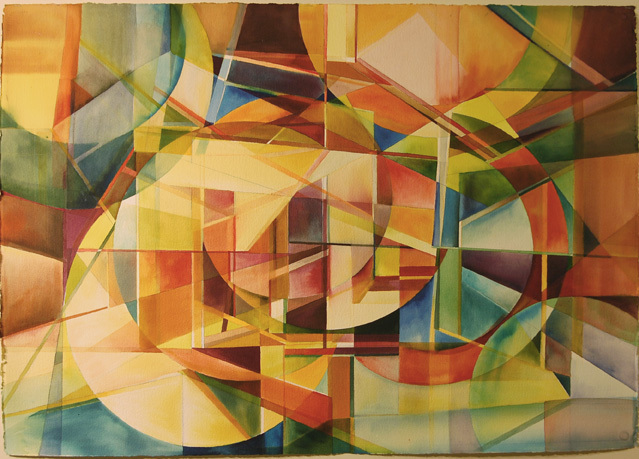 The paintings evolve from the intersections of the energy patterns and architectural details differentiated by color. 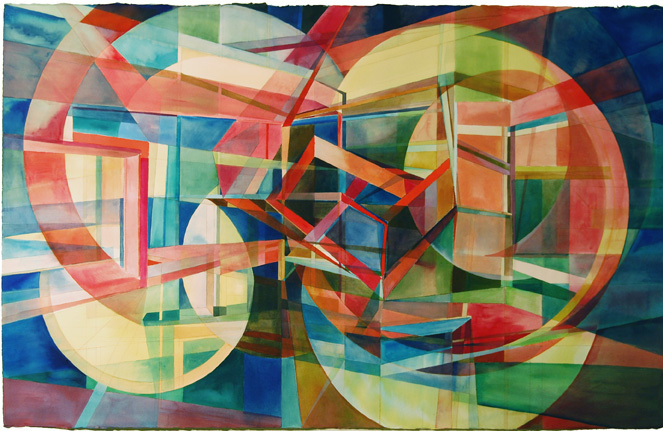 It is my objective to depict complex interactions of relationships in a completely non-figurative way. This work is also informed by my training as a textile designer in that I am always concerned with design and color, as well as my habit of creating these as non-directional designs.